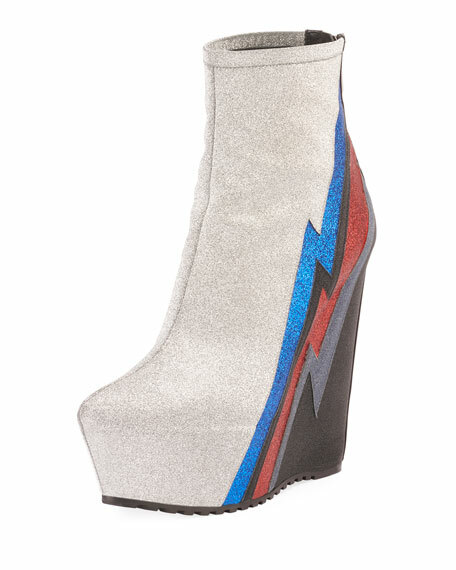 Balmain metallic leather bootie with multicolor lightning bolt. 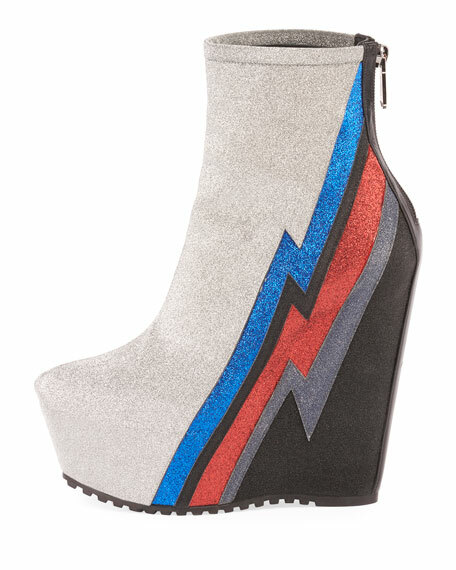 4.3" wedge heel with high platform. The House of Balmain was founded by French couturier Pierre Balmain in 1945. For decades, the label was known for glamorous, beautiful gowns and daywear. Today, under the direction of Olivier Rousteing, Balmain has evolved into the edgier side of couture, with designs that exhibit a distinctly downtown vibe. The Balmain street-chic touch extends to its handbag and shoe collections (which add a refreshing pop of attitude, especially when worn with lady-like looks). 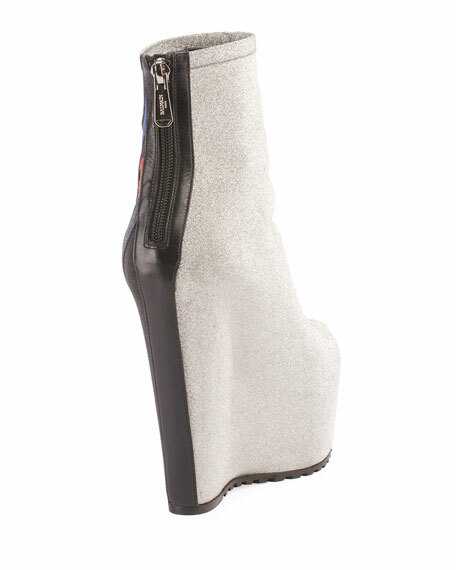 For in-store inquiries, use sku #2591879.